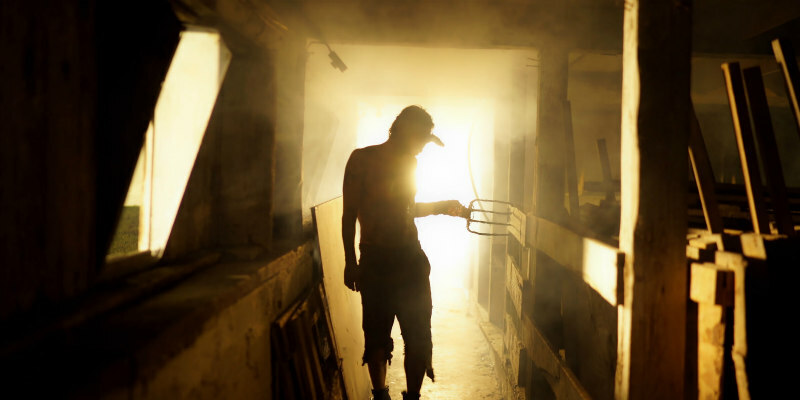 Micro-budget slasher film Pitchfork releases new behind-the-scenes featurette, clip and poster. Available now on VOD, director Glenn Douglas Packard’s indie slasher Pitchfork has released new artwork (above), a new behind the scenes featurette that explores how to make a micro-budget horror movie look like its big budget rivals, and a clip from the film. If you're in the US, you can watch Pitchfork on iTunes now.